In our horizontal glass toughening plant you can tempered clear and reflective 8 fits x 12 fits size of 4 mm to 19 mm thicker glass with our latest technology (700KW). Glass Mirror Coaters For Aluminum Coating on Glass Sheets with Low Cost Vacuum Metallising processWe are the foremost manufacturer of Vacuum Metallising Plants in India. We have made and sold about 350 metallising plants of different configuration, all over India and Abroad. Dimention : W 30" x H 30" B 24"
Surbhi Tuff has glass straight line edging machine for grinding straight line flat edging of different sizes and thickness. We are also specialized in coarse grinding, refine grinding, polishing and angle–making. 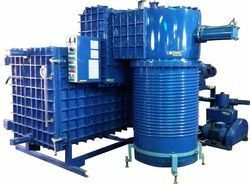 Avail from us a qualitative range of glass machines that are fabricated using mild steel. The structure ensure durability and reliability with flawless performance and dimensional accuracy. The thermal glass machines are available in different dimensions as per the requirements of the clients. We are looking queries for Pune Region only. 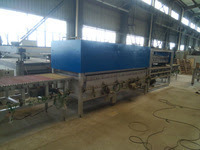 We hold expertise in offering the wide gamut of Glass Washing Machine in the industry. The offered ranges are designed as per the varied customer requirements. It is a special equipment for gas charging in insulating glass. 2. Adopting imported microcomputer controller and high quality components, the equipment are automatically, stable and reliable, applicable aluminum channel type insulating glass and rubber strip type insulating glass.